Sometimes we overlook how much legwork goes into making a deal. As our culture evolves and becomes more interconnected, the art of the deal gets pretty interesting. In order to make a deal, there has always been a need to build some kind of relationship through compromise and agreement. But in today’s connection economy, that relationship has to be built not just on reason and logic, but on the strength of connections. Research shows that recommendations from friends and family have the greatest influence on what people buy. Our job as affiliate marketers is to create connections that are just as strong and honest. Any time you initiate a relationship it should be personal and direct. Sure, there’s no harm in making contacts through a friend, colleague, or via your affiliate network. But experts in our field suggest that recruiting for affiliate programs or finding the right programs to work with requires personal attention. But this chain of connections takes time and dedication to create. As Stephen Robinson from All Inclusive Marketing pointed out in this week’s guest post, building an effective affiliate marketing strategy requires the kind of attention a great friendship does. Affiliates on AvantLink can kickstart the process of building successful affiliate-merchant relationships by identifying the types of programs they’d like to work with. Last week’s article showcases ways for merchants to help affiliates determine if the program is a good fit. These tips are also a great way for affiliates to assess a program. Put it to the test with the new programs below! Snow Lizard takes tech to the trail with phone cases that can survive in the wild. Sicne we’re talking phone cases, this program is pretty much for every audience, but it also has significant appeal for outdoor folks and athletes. Affiliates will earn an astounding 15% on a 30 day cookie, and with average orders at $120, that’s pretty great. Free shipping offered in the USA. More details on the Snow Lizard affiliate program description page, exclusively on the AvantLink network. Nomadik puts adventure in a box and drops it on your doorstep. It’s a subscription box for the traveller, hiker, and the nomad in you. When your audience is looking to get out, but not looking to do all the shopping, Nomadik solves the problem by curating the right gear. You’ll earn 8% promoting Nomadik on a 30 day cookie. Apply at AvantLink via the Nomadik affiliate program description page. WOOMBIKES gets kids cycling earlier with balance and pedal bikes for a variety of ages and levels of experience. Help parents out and promote this high quality product. It will encourage exercise, and teach kids to rely on their own mode of transportation. Affiliates earn 7% with Woom on a 60 day cookie–an excellent rate with a $250 average order. Apply exclusively at AvantLink via the WOOMBIKES affiliate program description page. Rush49 offers experiences that last, encouraging people to have more adventures and less stuff. Their events are for everyone and span a variety of categories that should appeal to most audiences. Check out their events and see for yourself. Affiliates will earn 10% with this program on a 45 day cookie. Learn more about the huge scope of events and apply on the Rush49 affiliate program description page. Bushman Shop clothing was inspired in wanderings through Australia. The sense of adventure is built right into the product out of the necessities you learn with experience. Affiliate commissions start at 8% on a 30 day cookie. Audiences that look for the best adventure gear are already primed for this brand–it is specifically designed for them. Learn more and apply on the Bushman Shop affiliate program description page. BFR Bands Store is the tool for occlusion training. This is a proven method that utilizes blood flow restriction to build muscle using lighter weights. All with a simple, easy to use product. Check it out and learn how you can earn 10% on average orders of $80 on the BFR Bands program description page, exclusive on the AvantLink network. Kora takes outdoor apparel back to its roots. They make their own fabric from Yak Wool and create high performance technical fabrics. If you are looking for something original to feature on your site, this might be it! Affiliates earn 10% on a 60 day cookie, with average orders at $249, only on AvantLink! Apply on the Kora program description page. 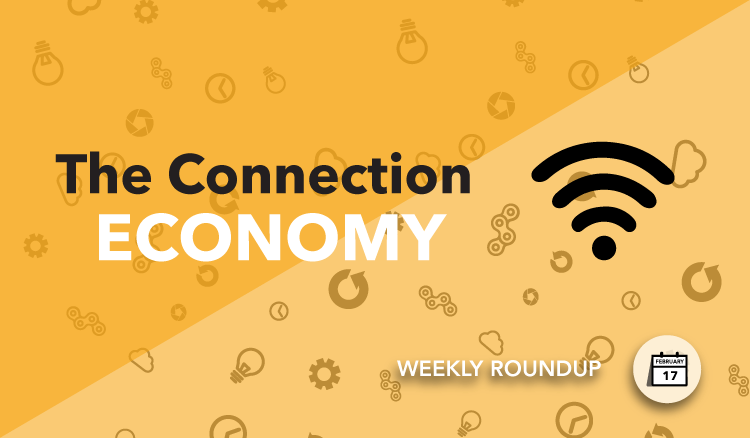 Use these resources to make some better, lasting connections for your business. One more thing… have a great weekend! Darius, I’ve been following the blog closely for the past few weeks. It’s good stuff! I run a trail information website for hikers. To help strengthen my relationship with them I use a Facebook Group and encourage two-way communications. It’s working pretty well. I get great feedback, suggestions, and bug reports from my users. They get to be part of making the system as functional as possible. In turn they feel like they are part of it. 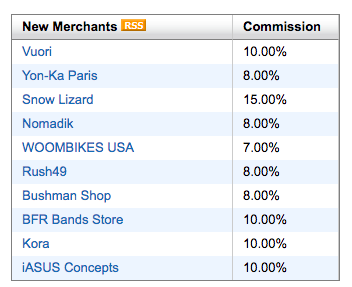 One of my highest CTR’s is just on merchants logos, because I ask my users to help support the site by visiting the merchants. A win-win in my book. Your new merchant Nomadik might be a great fit for my site. I will reach out to Nomadik and see how we can work together. FYI, the new merchant programs links (e.g. http://www.avantlink.com/programs/14767) are not affiliate friendly. There is an “Apply Now” button to become a new affiliates, but no button for current affiliates to connect with the merchant. Hey Kimball, thanks for the thoughts. I definitely think Facebook Groups are a great way to facilitate a discussion and get feedback. People are on their all the time, so it makes a lot of sense for an affiliate to set one up. Great strategy! Nomadik is a very cool product and I agree it should appeal to your audience. That is a great point about the program description pages. It seems they’re designed to attract new affiliates. I’ll pass that feedback on to the team in charge of setting those up. But in the meantime, you can always access the newest merchants more quickly from your dashboard when you login to your account. This dashboard window will feed you the latest merchants. I hope that helps for now. Thanks again for the thoughts and feedback!